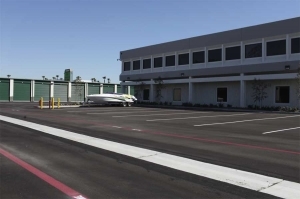 Our brand new, secure, state-of-the-art facility was designed with your convenience in mind. 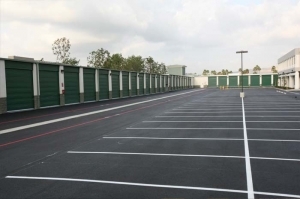 Whether you are a homeowner, business owner, auto enthusiast, or sports organization, sometimes we could all use some extra space. I-5 Self Storage can provide a solution, whatever the requirement. So when you need to relocate, redecorate, store the RV, park a fleet, downsize, or find an off-site inventory unit, remember I-5 Self Storage â weâve got you covered. They are really helpful. The receptionist were able to answer every question I had and they were also able to help me with everything. About a 20 minute walk (took me 8) from the bus stop. The staff were friendly and informative. Really helped that I got the unit on a deal. The spaces are maintained properly and could find no reason to "turn my nose up." As soon as we walked through the door, we were greeted with smiles. Very friendly staff and great and quick service. Facilities are very bug and clean. Clean facility and very friendly staff!!! Access hours till 10pm would be better. Awesome place in a very nice area and clean. Employees are very friendly and thorough. So happy I found this place. Clean storage,good price,best customer service!Thank you! This place closes their gates at 7pm. If you stay a minute later, you have to call the Tustin police to let you out. This place is very clean and very secured. They are quick to answer and questions or concerns. They offer free truck use on first use. Pretty good! Overall it was a great experience, clean our last place was dirty. No smoking on site a plus for me. Free truck rental for the initial move it was a great bonus. The unit was very clean and the staff was very helpful. One thing I noticed was the level of security. There are multiple measures taken to provide security for your belongings, something I really appreciate. I am very confident with my decision on leaving my items with I5 storage. Price was better than most, I rented with Sparefoot and was able to get a deal. I was notified that a better deal was available through a different site, saving me $60 over a 3 month lease. Clean and safe environment. Unloading was made easy with carts and their descriptions were accurate. It's perfect for what i was looking for. Best storage unit for the price. Good location Extremely clean and tidy. Great customer service. High security so you can feel good knowing your belongings are safe. The most organized mini store . They have a play area for children. They sale sodas and water in the lobby. Their restrooms are immaculate and also have free wifi and conference room to use if needed. Their security is top best. Squeaky clean parking lot . And great air conditioning. The best part besides the price is the great customer service. I'm really happy with the pricing I got on my unit. The people are friendly and helpful. However, my unit wasn't clean inside (it had some dirty paper towels and tiny debris). I was also told that they'll "lock you in" if you're there after 7, and charge you $50 to get you out. I'm told that the lock-in is illegal. I guess with such low rates, they have to be strict. Great location. Great Price. Great experience with the rental unit. I am very happy with your services because you found me the best price storage near me! Thank you. Not bad for the amount of notice I had to move. This place was one of the better storage places. It's clean, well lit and the wheeled carts made the move in simple. The hours they are OPEN and that you have ACCESS is not the best. 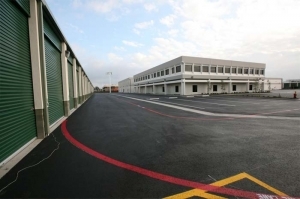 Multiple layers of security are in place to protect your storage at this facility. Very clean throughout and very helpful staff. 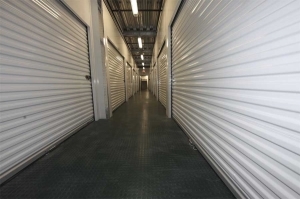 This storage facility has several layers of security to prevent unauthorized access to your area of storage. It is very clean and has amenities not usually associated with a storage facility such as free wifi and customer PCs, document disposal, and a kids' area. Excellent service by staff. Superb security, very clean and well kept. I have used several storage facilities around Orange County. I-5 is the top of the line to date. The pricing is great too - it's what anyone would hope for in a safe storage for their property. Appreciate the organization which saves my time. Best Customer service I've ever received from any storage company I've used. The employees were really great at greeting and helping there customers. I checked in on Friday. The service, please and price were good. This is the cleanist place. This is a great place to store any items. They have the best prices ever. Thank you. Easily outweighs the competition for storage units. I would expect more expensive prices for such a great facility but sparefoot gave us a great deal. Limited access hours which I actually prefer as I just need some long term storage. We had to switch our move in date last minute on top of that we needed a bigger unit on the spot! They gave us a great deal which is guaranteed for 6 months! They have tamper proof locks which made me feel extra safe...when we came close to closing time and only had an hour left to get our stuff in! They were helpful and kept the sign in process short and to the point! It was easy to get in and out. It's also safe, clean, friendly staff and I got a good deal for 6 months. Nice, friendly and helpful staff. Very clean place, convient. I had a very good experience renting a storage unit here. It was easy, the woman helping me was friendly, helpful and very thorough. It's a clean place and great location. Easy access from the freeway. Very clean and friendly service . Price is reasonable and would recommend to my friends and family. Every aspect was excellent and they didn't try to add on more expenses like our former storage company. Great price , access, clean and friendly people. The gentleman that helped me was extremely helpful. He suggested a slightly smaller unit for my needs, which cut down the price tremendously. He was very friendly and polite. The facilities are very clean and I love how they have clean restrooms, access to drinking water, and even wifi. State-of-the-art, affordable, very professional staff! I had a previous relationship with I-5 Self Stiorage in the past when I was a fellow member of the Tustin Chamber of Commerce with them. 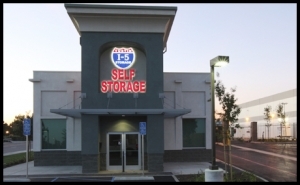 I toured they're beautiful's facility, attended meetings in therir very professional business conference rooms, attended fundraisers and car shows thereâ¦ Now years later when I needed storage, of course I thought of I-5 Self Storage! Love my space! Big thank you to Tina for all her professional service! Super customer service, clean and attractive facility, good security. The customer service is needed to be improved. For example, they didn't realize I'm a deaf client who has reserved the unit for months. I feel like they kept asking me if I can read lip. I think I did clarify. Finally they accept the fact that I'm deaf. Everything great, but speed of service is a little slow. Great Facility, Fell comfortable leaving my belongings here. Great customer service. Had to wait about a half hour before helped because there was only one employee working, so she gave me the lock for free. It would have been nice to be able to drive around the building rather than having back up the trailer we have. I did not appreciate the sales associate raising his squeaky voice at my 2 year old when she was getting impatient. The unit and security were nice, and the special price was nice, but watch for incidental charges. I received a call to confirm the reservation the very next day. I didn't know they let you use a truck, which was a fantastic perk. They countered that information, and I was able to reserve their truck to move my stuff. Just checked in yesterday for my storage unit and customer service was excellent and prices were better then the surrounding places. Very clean and convenient location. Sunday was a bit hectic for us, especially because I had to work the same day but I was helped as soon as the man was free. He was polite and very friendly, didn't catch his name but he gave us great service in getting things done. Very clean facility with a very helpful staff. Tina the manager helped us with all our questions and helped us to find the right storage for us. I like this facility because of the security and it is clean. Extremely safe, professional and clean. I feel that my items are very safe inside i-5 self storage. It is temperature controlled and very clean inside the storage unit. I have had nothing but smiles whenever I go in. Location is awesome being right next to the freeway. Only thing I wish was that the hours were a bit longer. Pretty cool racecar theme in the furniture storage area. I managed to get a great 6 month rate. It is very clean. I would definitely recommend checking this place out. Everything was just perfect. From location to price to the employees. This place is perfect. Very clean, I moved in without having to swept prior. Easy access. Only thing I can complain about is the gate hours. 7pm cut off time. Nic was an absolute wonderful helper! He helped me even at the latest of hours to get my furniture in. I showed up too late to be able to get the freebie in truck so they're letting me use it a different day. Good customer service. I must admit it was and what I expected. But it was awesome I loved what I saw the security being able to have meeting their Wi-Fi able to do my paperwork as I'm storing retaking think so plus cold refreshment. Everything is very nice. The people were helpful and it is very convenient. Great Price. Nice facility. Friendly staff. I am glad that I moved my stuff in to I-5. Looks extremely professional!! Good location. Fair prices. Free use of truck for move. Would recommend, ability to store anything, any size. I have never had such great quality with customer service, price, cleanliness and much more. I got a killer deal with a storage unit that is the perfect size. Staff is beyond kind and helpful. I will recommend I-5 Self Storage to everyone and I already have!! Tina was very helpful she made a stressful time a lot easier! Tina was very helpful and we appreciate the time she spend with us showing us around this top notch storage place and getting us set up! Great place to store your items. Small hiccup with pricing but it was cleared up right away. Great location, courteous staff, clean, convenient. Nice, polite employees. Quick and easy to sign up. Close to home and work. I only wish I didn't have to buy their special lock instead of using my own padlock. Good quiet easily accessible location. Great customer service from Nick. Price a little high after 6 months but fine for area. 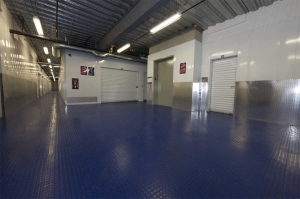 Very clean facility and easy access to the unit. The person who helped me check in was super friendly and professional. The facilities were clean and it was easy to navigate to my unit. The process was easy and the rep explained everything clearly. I would definitely recommend to a friend. Great experience from the moment I reserved a storage space online. Staff is very pleasant and the location is safe and convenient. Great customer service from the start. I highly recommend this storage facility. Thank you! Tina and nick were extremely helpfull. Tina and nick were extremely helpful. They made a stressful move a lot easier even when we had an issue they were quick to fix the issue! Friendly service same day move in! The way Self Storage should be. The grounds are immaculately clean. The staff is helpful. It's an experience you won't expect from a Self Storage company. Very clean but not best customer service. It is very clean. Everything went smooth with exception of "free" move in truck. They told me it was free up to 50 mile radius. I drove truck 58 miles total and they tried to charge me for 8 miles. I advise them that a 50 mile radius would mean I get total of 100 miles. After arguing what the word radius means they finally gave in. Seems a bit deseaving to advertise that way. It's clean and organize. I feel like my belongings are safe. What I like the most of this facility is the security and the nice people working there. Defenitely I recommended. We moved our belongings into I-5 Storage this week and so far we have only good things to say! Very clean and secure storage facility. It does it crowded on the weekends and have had to wait for an open moving dock and dollies. Overall we like it. Clean facility. Great customer service. Moved in yesterday. So far we love it! Clean & secure storage. Only downside is they don't pro-rate if you move out early. I'm completely satisfied with the whole process and it was completely painless - definitely what I needed during a stressful move!! Clean, great access, helpful employees. This is the cleanest and secure storage facility I've seen. I'm so glad I found this place and better yet their awesome deals! Prices can't be beat! 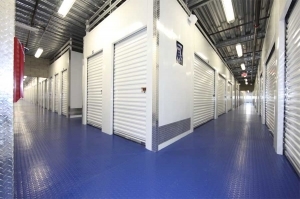 I would recommend this facility to anyone in the market for a storage unit! Great staff and a very simple process start to finish! Two thumbs up! thank you for getting me this awesome self storage wit the price unbeatable. Looks new, well kept, great access & lighting! The attendants were very helpful. The layout and security provide ease of access if you belong there. Best of all they take great care in keeping the facility looking brand new! Love it,definitely feel secure leaving my belongings there! Super safe and super clean,the customer service is great! Very clean and new. Well designed layout and great customer service. Move in was easy. Very clean and seems exceptionally secure. Didn't give 5 stars because of the hours I can enter and the fact that if I try to leave after 7pm sharp, I would be charged $50 to be let out. But other than that, it seems like a good self-storage. Eric is wonderful. Very professional and thorough. The most pleasant surprise. I really appreciate your kindness. Better than anything you would have thought!!!! Think you had a lot of storage units? You have probably not had one like this before. The place is immaculately clean. The staff and manager especially are so nice. They provide a truck, flat beds, locks....but you feel like they are your friend on moving day and every day after. They also store RVs, cars and boats so their mentality is so different. Usually the person at storage is not professional as in this is his/her career. But I5 takes their business and you seriously. Add to that, a beautiful lobby, comfortable couches to take a break, free wifi to check some email and a cold soda or water. That's hospitality. I have been there over a year and I absolutely love it. Thank you I5 team Tustin. I-5 Self Storage is extremely clean and customer service is top notch. The two gals at the front desk keep their cool/friendliness even when it is busy. They explain all the important details so you don't miss anything. The facility is easy to get in and out of, and they provide 24-hour surveillance. They even have moving supplies available onsite at a much lower price than you will find at stores like Home Depot or Lowes. The kicker for me was use of their 14 foot moving truck at no extra cost other than a few gallons of gas (since I lived so close to the facility - they do charge per mile after you hit a certain number of miles). Overall, it has been a great experience working with this facility. Great move in. Everything was in order as I requested. Thanks. The I5 storage is excellent. The security is perfect and the customer service are friendly and helpful. I moved in to I5 storage recently. I love the storage since the location, highly cleaness, security and customer service. I am very happy to choose this storage. Easy access, great location, good people. Beats out all other storage units I have used in the past. I wandered into the facility, and there was a line of people seeking storage at this location. The staff was cordial, and let me know they would be with me as soon as possible. I found the staff to be friendly, and professional. The positive vibe of the facility, as well as the cleanliness was a big plus. The unit was designed for easy access unlike other 5 x 10 units I have rented. I would highly recommend this facility to anyone searching for a storage facility where you felt your things would be safe, and if you had any issues that needed to be taken care of you could depend on the staff to make sure things were taken care of. Customer service is of great importance to me, and this company rates high in this area. Check it out! I have never ever seen so goog storage! Everything is great! Service, people, how all facility is made up. I love it. The best storage that I have ever seen. I have not had this feelings on-line. Something is missing for advertising this storage. Please, Manager, check your on-line site. I can explain. According to on-line I can give 5 *. when I have been inside and complete my registration, I can give 10/10*. All my grading according to the price that I have had also. Thank you for this business ! Very friendly staff. Took the time to show me the unit and make recommendation. I really appreciated that he found me a unit close to the front so that it was easier to move in and add storage in the coming months. I went in on Sunday to rent a storage unit and less than an hour later I had one and everything was simple. They were also very helpful to me since I've never rented one before. Also had a great move-in special. Had the best experience possible moving stuff into storage. They expedited the move for us, letting y helpers inside while I was doing the paperwork. Great customer service, very clean, carts to use, got a great deal for our first 6 months. We also own a 33 foot RV and did look at you prices but it was a bit expensive. With that said you do offer great security. Best storage facility I've been to. Very nice place, great customer service, competitive prices. Best location and easy access conformable temperature in the units. Friendly courteous staff. Nice facilities. Pleased with all aspects. Prompt, efficient service. Easy to use. Erik was extremely professional and informative during the initial process. Both Erik and Tina were extremely helpful and ensured I registered for the right unit based on my needs. Without asking i was presented several options as well as discounts making my selection even easier. I would recommend I5 Storage to anyone living near the Tustin area. thanks. moving in was quick and easy. there was a lock to purchase for the storage unit. Price different than quoted - add on required day of move. clean and friendly. that staff was accommodating and the storage unit was clean and looked jest as described prior to my arrival. However, they will charge you extra for a lock if you don't bring your own, this extra charge is not included in the advertised price. so bring your own storage lock to save some $$! So impressed with professionally run .Clear instructions & explained each item. Storage area clean, marked by easy way to find my unit & how locks Work. Kind & professional. So glad my valuables are there. Highly recommended these storage units. 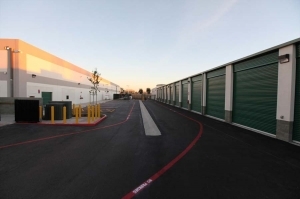 We found i5 self storage on sparefoot and we'really really glad that we did! 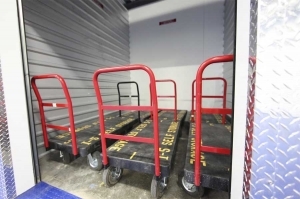 We were able to store our belongings at a cleaner and safer storage for a lesser price. One negative is that the storage access hour is only until 7 pm. Other than that, we are very satisfied! 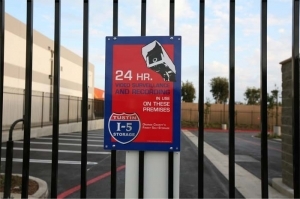 I-5 Storage was a facility that was easy to use and with staff that was helpful and friendly. Everything was very clean and had many safety precautions. I would use this facility again. Would recommend this facility. Location is nice and away from busy street. Secure and clean, hours are a little constraining, but easy to work around. I am very pleased with everything here. The pricing, staff, location and cleanliness. Couldn't of asked for more. I will definitely recommend it to my family and friends. I have stored at and checked out approximately a dozen storage facilities over the last several years, and this, by far, is the best in all the things that matter - security, cleanliness, pricing, customer care. They made a mistake on my reservation which could have cost me a great inconvenience if they hadn't corrected it - which they did correct very satisfactorily. Erik checked us in and was accommodating, friendly and efficient. The unit was exceptionally clean - hasn't always been my experience. The facility seems very secure. I'll stay as long as the pricing makes sense for me to stay. great place wish I had first level. Price was right and good location for me . The staffs are very nice ! Nice staffs and clean facilities. The security system looks good. Price was also pretty! I needed some storage and found Sparefoot and they linked me to I5 Storage in Tustin. It is right off the I5 and was very easy to get to. The only negative is that the gate hours are only 6am to 7pm. Clean Facility, very secure & helpful staff. This facility was easy to find, the staff was helpful, and they were upfront about their prices. The storage units are located in a secure area and I felt confident leaving my treasured items locked up and in their care. The only reason I don't give them 5 stars is due to their hours. We arrived to check into our storage unit at 6pm. They close at 6:30, but stop working at 6pm to process closing the building and ensuring everyone is out of their storage units. I'm bummed this wasn't communicated more clearly on the website. This is my first time using a storage facility so I don't have anything to compare it to other than stories from other people's experience elsewhere. That being said, thus far I'm very satisfied with I-5 Self Storage in Tustin. Customer service is top notch, facility is clean and well-lit, and there are security cameras everywhere. I don't anticipate any issues. We are very happy with the whole experience. I rented a small unit here in Tustin instead of Irvine because of the cheaper price, also expecting to get less of a secure, clean, and friendly environment. I did not receive any less - in fact I received more. 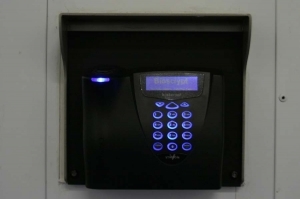 This facility is very secure (many passcodes, many gates, locked elevators, etc.) and I feel that my belongings will be safe here even when I am not in Tustin. Customer service was very friendly but they were extremely busy and had a lot of people to deal with at once - the desk employee handled it very professionally and kindly. Overall very impressed with this facility. Great Price, Location and Customer Service. A beautiful facility and great location. This place is a wow! Clean, air conditioned and easy access. Very nice people working there too! Moving is hard, I-5 wasn't bad at all. Ok great service overall so far...be sure to follow the rules... steep fees I don't like if you mess up and break them. Staff was very helpful. Really appreciated the free truck to move in. Moved in Sunday the 24th and the person at the desk was really friendly and helpful. She was able to answer questions and help me with my needs. I would definitely recommend this place to friends. Best pricing, great customer service! I could not be happier with my experience. The day before the move in, we were shown the two different units we were deciding between. There was no pressure, no desire to upsell us. The location is extremely convenient, and the customer service is top notch. There was a mistake upon leasing, and they bent over backwards to make it right, which they did. Highly recommend! Very clean, neat and adorable. I would recommend anyone to rent with them! Easy access off and on to the 5 fwy. Clean and secure. Office closes at 5-6PM so you can't get the dolly keys until the morning. Price is ok. People ok. I was very pleased with the staff. It was much nicer than I anticipated. The online picture did not do it justice. I liked the car inspired storage facility. It is very secure. Very proficient staff. Any little problem I had was resolved in person by a staff member. I am very impressed with I5 Self Storage. Other storage facilities should take lessons from I5. The new customer deals are great, but remember that the rent goes up to market price after 6 months. It's a nice, clean place conveniently located just off the 5 freeway. It's a good place to store stuff. Price not too bad. Just off 5 fwy and Jamboree. Only downfall I see is you can't go in or out after 7pm. If you are in after 7 you have to do an emergency call to a staff member and pay $50. With my reservation in hand, I opened my account at I-5. The staff was very kind, totally knowledgable, and worked quickly to get my information into the system. Within 15 minutes the unit was all set, I was shown the facility before handing over a dime, and I felt assured this was the right move. easy to move in, they provide free usage of their truck, which is great - just wish i could access 24 hrs a day. Storage costs in southern California tend to be outrageous but you get a clean, secure location for all your valuables here. Location is Great! I looked around to many storage places and by far this is the best place. I wouldn't think twice about going somewhere else. Moved into a 10x10 locker. Good service. 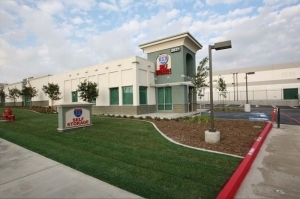 The facility is secure, clean, and convenient: both in location right off the freeway and in schedule with many hours open. The people are very pleasant and professional. The facility feels like it was well thought out. Nicest storage facility I've ever seen! Nelly was very polite and professional. Signed up online, staff professional and very helpful. Appears to be very well maintained. Moved into a 10x10 locker and had enough room left over that my helper offered to split the cost if he could move some of his items in. Nice, clean place. Easy to locate and access your stuff. People who work were great. Immaculate facility, helpful staff, my stuff will have a fancier home than me!! The facility is secure, squeaky clean, and accessible: both in location right off the freeway and in schedule with many hours open. The facility and the storage room are clean. The customer service provided good service. The process for renting and paper work didn't take long. Very smooth experience. The "admin fee" did not stand out to me when booking unit through Spare Foot, so I was surprised during check-in. However, rep at unit told me that I will probably get it refunded through Spare Foot.? Overall, great experience! Everything was easy thanks to spare foot, the guy who helped me fill out paper work was nice and was very informative. I was most impressed that they didn't force me to buy the useless insurance that Public Storage pimps, we all know it is just a gimmick to charge another $10.00 and it pisses everyone off, thus I am at your location. BEST STORAGE IN ORANGE COUNTY! Called it a 5-star storage, an outstanding place! I've used other self storage facilities, by far this is the best one. A well organized Storage, and well maintained. I loved it and would recommend it to everyone that asks me for a place. Prices are a bit pricey, but worth it after all. This is my favorite storage facility so far. It's right off the 5, so easy to get to. Access is easy and safe with a code. Hours of availability are good. Facility is new and clean and offers play area, wifi, conference room. They were very upfront about costs and answered all my questions about notice for vacating. There have been no surprises, no hidden fees. I expect a comfortable transition with them when I move out as well. Everything is exceptional ..but price is steep. The promotional price is only good for 6 months. This wasn't disclosed on the sparefoot.com site so be aware. Expect to pay close to $100 more per month after the promo period. However, the facility is above average. It's clean, secure, and the staff is knowledgeable and friendly. I would recommend to friends with deeper pockets. Very nice facility - modern and clean. Staff was friendly and helpful. It was clean and I felt my belongings would be safe here. Although I would have liked a discount if I paid 12months in advance. Great service. Clean facility. Peace of mind with my storage secure. Very friendly staff and loved how clean everything is. Staff was super nice and the paperwork took less than 15 minutes. Best experience to date with regards to renting a storage space. I would most definitely recommend this place to anyone and everyone. I had a great experience with I-5 Storage. The facilities were clean, secure and in an easy to find location. The staff was very helpful and the office had everything I needed or may have forgotten. They have amenities that I have never seen at a storage facility and that was pretty impressive. I really like that I can pay online because I travel constantly and it makes paying my bill quite easy. I highly recommend them! overall is good. good location, friendly staff. Too hot. AC on second floor is non functional. The woman that did my paper work gave me big sigh when I asked for a map! And my unit still had the blue lock when I came in after work hours after I specifically said so. Had to call the office and return. Good Staff, secure facility. Promo price is very good for 6 months . Highly recommended. Easy, Quick, & Friendly Service! Great service, great security, and overall I am very happy with it. I do feel like for the 10x7.5 space I rented it is a good price with the 40% discount through sparefoot, but after 6 months I might shop around for something less expensive or downsize to a smaller unit because of the cost. Very happy overall. This was the simplest move ever! The fact they have there own truck made it an easy choice. The staff was very efficient and made my experience quick and easy with great customer service. I would highly recommend this company! Great 1/2 price sale and free access to truck upon move in. Unfortunately we were pulled over for expired tags and escorted back to facility, luckily we were not the ones ticketed just inconvenienced. Traffic free, quiet place. Promo price is very good for 6 months . Sparefoot reserved it for me until I'm ready. Had a great experience throughout the process. Staff is not as trained as the owner but are so friendly and eager to help. I did have one slight issue on changing my unit that at first they were not willing to change. However once they checked with there manager the problem was fixed within 5 minutes. It was a fast fix. Love how easy it is to freeway. From the very beginning I experienced excellent service, personal attention to our needs, and professional followup from everyone at I-5 Storage. Rooney was our representative and he was the best. We didn't know if we would need two units or three, and he was thoughtful enough to check back with us repeatedly as we unloaded our property to see if we were doing all right, needed anything else, and to ask whether we wanted the third unit. I highly recommend I-5 Storage to anyone in need of storage and will definitely use them for all of my future storage needs. This storage facility is very clean and secure. And by booking through Sparefoot I was able to lock in 50% off the regular price for 6 months. With that deal this is an excellent value! It was also nice to be able to use the free truck to move in. Overall, this is a great, convenient facility that I would recommend to anyone. Overall, my experience was great! All I hoped for, and a little more. Not the cheapest, but clean, secure and friendly! Overall, I say it's very good. Easy on-line reservation and good 6 month discount through Sparefoot! After the six months though, the price doubles and is much more than other units. Our signing the contract also went very smoothly. We like the security, although the closing hours at 7 pm can be a bit inconvenient to go after work hours. The free Wifi business center will be great when we are back in town and the overall cleanliness was impressive. I also like that it is not part of a large chain and the owner seems to take great pride in his business! It is well lit and very clean. The staff are very nice, courteous and very helpful. I got a good 40% discount for the first 6 months lease and $20 rebate that covers the administration fee. Downside fall is the time but if you plan ahead everything will work out fine. And they can monitor and track down you ever accessed the storage facility. Nice and clean, very helpful employees. Only down fall would have to be the hours for access, only open until 7:00 every day. Overall, very good; from the on-line reservation through signing the contract. The only downside was that, while some other companies would offer you the first month free (for leasing 3 month+), this was not the case for this place. Plus we had to pay for administration fee too which made our first payment even higher. outstanding service and excetionally friendly staff The best I have seen. The facility was the cleanest that I have ever used and the personnel were very helpful. I was able to use the complimentary moving truck and it got a flat, but the staff made it up to me. They are highly professional and I would recommend this location to anyone. I decided to use I-5 when I had to move and all I can say is they made the whole process as smooth as possible. It was a really stressful time for me and thankfully finding a clean, air conditioned, fairly priced and conveniently located storage unit to store my things in was not one of them. Thanks guys! You're awesome! It was great, excellent service. Great prices, great customer service. Clean facility. Keep it up! From the time I made my initial call, to the time I closed my storage door, I couldn't have asked for better service from Eric and Tim. I guess you get what you pay for when it comes to storage units because while this isn't the cheapest place out there (before taking into consideration any potential discounts), it's definitely worth the cost. I feel pretty good leaving my stuff at this place knowing it's in a clean and dry environment and probably won't go up in flames or be stolen anytime soon! Excellent, Eric was great, Tim the manager, great job as well.Ive referred 2 people so far.Thank you. I-5 Self Storage is amazing. I was impressed with the facility and staff. I have been a customer for several years. Your staff is incredibly friendly and efficient. Please keep up the good work. I-5 storage's employees have been extremely helpful and have made the entire experience of finding storage and a truck a very smooth move. Great team and great staff!! Very friendly customer service. Very helpful.very detailed. Great security. Very clean and organized. And got a great deal.50 percent off for first six months.